It doesn’t happen often. But every once in a while, a natural talent erupts that you can’t hold back. 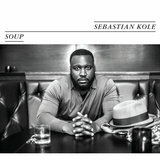 Meet Sebastian Kole. Kole quickly snapped the industry to attention in 2015 with his co-writing skills on Alessia Cara’s insightful double-platinum debut single, Here. This year, television viewers have been treated not once but three times to his lyrical prowess—and warm, soulful vocals—through syncs of his songs (Home,Love’s on the Way and Love Doctor) on ABC’s popular long-running series Grey’s Anatomy. Now the full measure of Kole’s multi-faceted talent as a songwriter, singer, producer and instrumentalist will take center stage with the May 13 release of his self-titled, five-song EP on EP Entertainment/Motown. If love had a Snapchat, it would be this EP, says Kole. It’s just these honest little burbs about what love goes through. Check out focus track Carry On, for instance. Centered around the painful aftermath that comes with a breakup, the mid-tempo track brims with vulnerability, wistfulness—and struggling fortitude. Heaven knows I’ve lied to myself / Said I’m better off alone, sings Kole before his supple tenor picks up the refrain: But somehow we’ll carry on / I’ll tell myself just one more drink, I’ll be fine / We’ll carry on /She’ll share her feelings with her pillow each night / We’ll carry on..That same potent lyricism flows throughout the four other songs comprising the EP. In addition to the aforementioned syncs featured on Grey’s Anatomy, there’s the ballad Pour Me about escaping life through drink. Beyond his brilliant knack for telling stories with his expressive tenor, the Birmingham, Alabama native has also crafted an eclectic mashup of southern gospel and blues with pop, soul, jazz, rock and classical. 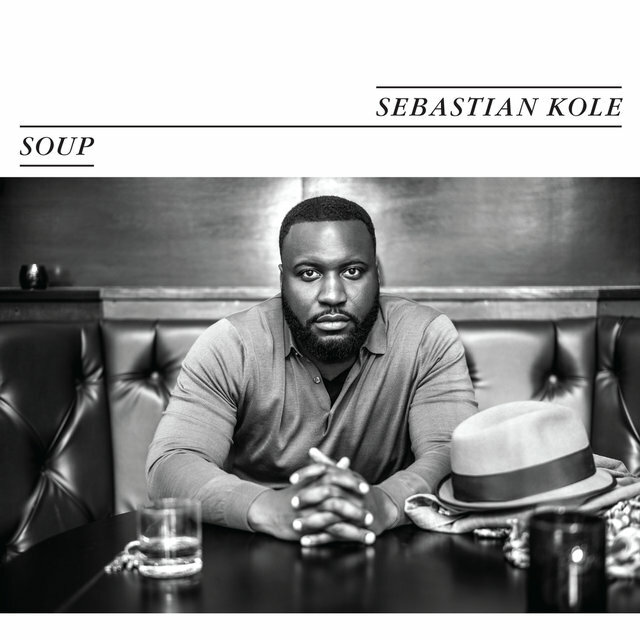 It’s a sound he labels simply as SOUP: Southern Urban Pop. 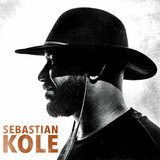 This is very much a snapshot of what I am, a very honest transparent piece of music, explains Kole. It’s saying I mess up a lot. I don’t really get this right all the time and neither do you. So let’s just try to figure it out.Kole figured out at an early age that music was his calling. 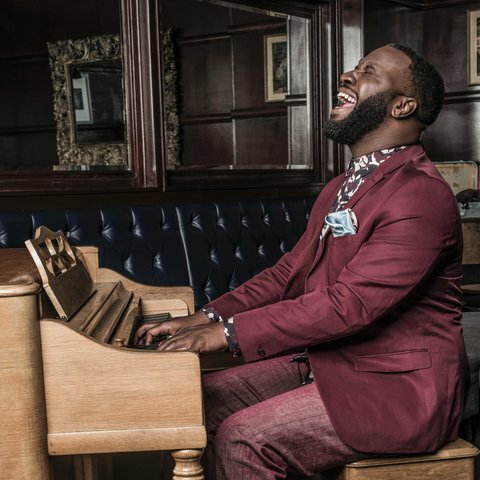 Taught the piano by his godmother, the precocious five-year-old became the makeshift minister of music at the age of 10 after his parents began pastoring at the Pentecostal church where his godmother played. Friends later introduced the middle schooler to secular music with gifts of a taped copy of MTV Unplugged in New York: Nirvana and the Forrest Gump soundtrack. As a student at the University of Alabama, the Goodie Mob fan doubled as lead singer and piano player for a southern rock band, coverings songs by the Allman Brothers, Ray Charles and others. There’s nothing wrong with telling a story, says Kole, who ticks off a diverse list of lyrical heroes that also includes Nirvana’s Kurt Cobain, Simon & Garfunkel, Bill Withers, Stevie Wonderand Lionel Richie. Their songs are stories where you have to listen to the whole thing, not just one verse and a hook.Returning home after graduation to play for the church again as well as gigs with another local band, Kole continued to sharpen his songwriting skills. At his mother’s suggestion, Kole—who also plays guitar and drums—wrote 13 songs in seven days for an album that he later recorded in a studio with money from her. Though Kole jokes that it went maybe paper or plastic, the set drew considerable local attention. That prompted a second indie album, Live From My Notebook, one of whose tracks landed local radio airplay. Quitting his job as a bank customer service manager, Kole moved into the stockroom of his uncle’s shoe store (My furniture was shoe racks). His big break came when a hook he co-wrote segued into the Jennifer Lopez song Goin’In featuring Flo Rida, which appeared on the 2012 soundtrack Step Up Revolution. Moving to Los Angeles in early October that same year, Kole began collaborating in writing sessions with unsigned artists. Word of mouth about his skills soon spread during an ensuing three-week period, leading Kole to EP Entertainment—and a meeting with Motown. Some 20 hours later I had a deal, says Kole. My clothes hadn’t even made it here.It was EP executive Tony Perez who introduced fellow EP newcomer Alessia Cara to Kole after a gig Kole had done in New York. After the show, I asked her to sing something for me, says Kole. She does and I say yo, let’s try it. Between co-writing and co-producing tracks for Cara’s acclaimed 2015 debut album, Kole began building national buzz on his own with the 2013 track BTMB (Bigger Than My Body).Now Kole is ready to make his formal solo debut. I was glad when someone suggested I should self-title my EP, notes Kole. Because this is me, saying things that are simple and honest, but thought-provoking; things that really get into your heart.